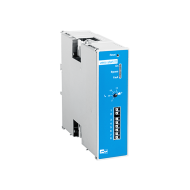 The new VS p soft starter helps ensure enhanced productivity of your operation. 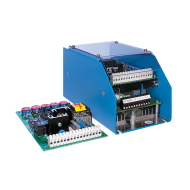 The VS p doesn't just start and stop your machinery with precision and efficiency, it also helps you minimise energy costs and improve operational effectiveness through the delivery of meaningful data to both operators and plant automation systems. 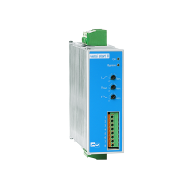 Different performance variables and sizes are available for individual use to your requirements. 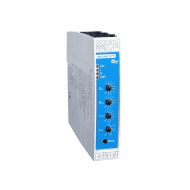 With the new VersiStart p II and VersiStart p III series, PETER electronic presents once again the consistent further development of its successful soft starter product portfolio and sets new standards: The soft starter VersiStart p II/III product family is characterised at its core by the product quality typical for PETER electronic and a variety of functions which guarantee optimum start-up as well as stopping conditions, including the high-quality protection of electric motors. 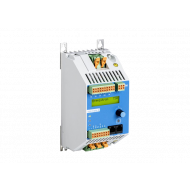 The two-phase controlled (II) and three-phase-controlled soft start devices start and stop electric motors - even a high-efficiency IE3 motor - and machines connected to them with the highest level of precision and efficiency. Different soft start methods are available for this. 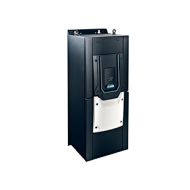 At the same time, energy costs are minimised and the operation optimised, where for example important information about operating states related to the system environment is provided. 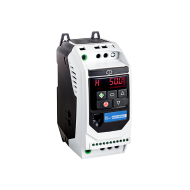 The VersiStart p II and VersiStart p III models are attractive with a performance plus in compact form and are fully packed with useful premium-control and protection functions, extending to the fire mode. 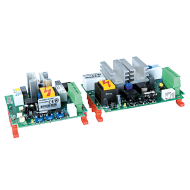 A special feature of the new product family, with more than 40 variants, is formed by the plug-in module (p) for the possible integration of an industry-specific smart card. 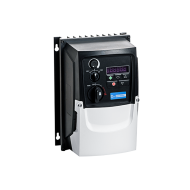 A smart card, for example for pump and irrigation system systems, extends the employment and functional potential enormously and, with the devices with optimum price-benefit, provides for a complete system control with intelligent motor control. 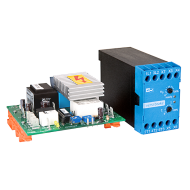 Instead of having to connect additional devices, the smart card plug-in of the new VersiStart p II/III series from PETER electronic enables a rapid and space-efficient function expansion and newly defines the role of a soft start device. 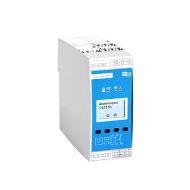 With the corresponding smart card the soft starters can be operated as complete system controllers. 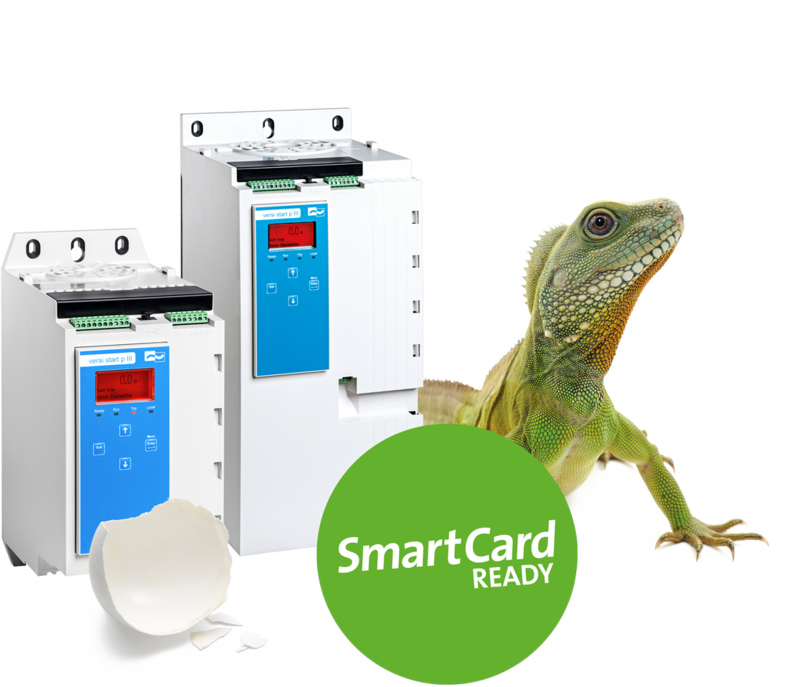 The smart cards supply sector-specific or application-specific functionality and use the soft start devices centrally for intelligent control and communication. 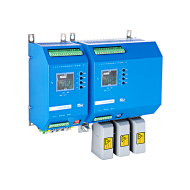 Thanks to this equipment, the controls are maximised, the overall efficiency of the system improved and operating costs are lowered. 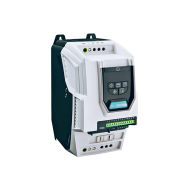 VersiStart p II/III was designed with a view to user requirement: The soft starters are correspondingly simple to operate and supply a fast overview of significant information, for example with the aid of the LCD display with graphic indication of real-time diagrams of the motor operation or the intuitive, multilingual menu guidance. 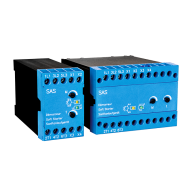 In addition, thanks to their interfaces (BUS) and on-board functions, the soft starters can be simply connected with other devices and/or communicate with them. 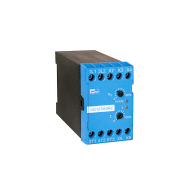 A USB connection simplifies the operational start-up and maintenance, where parameters, firmware updates or further languages are directly loaded or parameters, event protocols and operating data are capable of being downloaded. Last but not least, operating cycles can be stipulated and automated using the scheduling function: This enables a customised, interruption-free operation which minimises manual interventions. 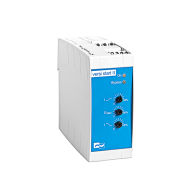 The VeriStart p II/III series is equipped with comprehensive functions for soft start-up, motor and system protection and is therefore suitable for the most varied motors - in particular also for high-efficiency IE3 motor requirements - and fields of application. 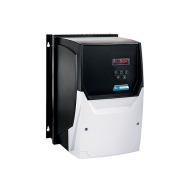 Included among the preferred areas of application are pumps, fans, compactors, compressors, mills, crushers, presses and conveyor systems, as well as drives with high starting duty, such as machines with gear, belt or chain drives. 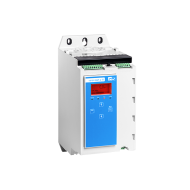 In order to exactly and efficiently cover all motor requirements with regard to a soft start and stop, different soft start methods are available for selection. These extend from constant-current, through kick-start, to current ramp and adaptive regulation. 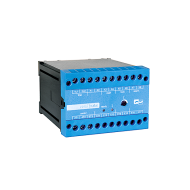 For protective stopping, a selection can be made between the stop methods spinning-out, TVR soft stop, adaptive acceleration control and braking. 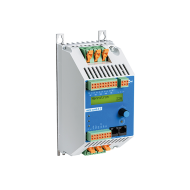 The integrated premium overload protection offers comprehensive motor protection - where additional external devices or a motor protection switch are therefore superfluous. 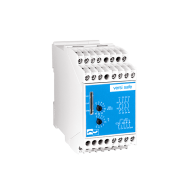 Last but not least, the soft starter VersiStart p II/III series offers comprehensive safety and monitoring functions, which sound an alarm in critical operating situations and draw attention to different potential operating situations. 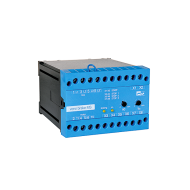 In case of an emergency, for example, the soft starters are provided with an emergency mode which ensures the continuous operation of the controlled motor. 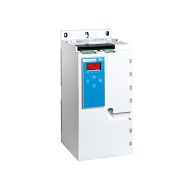 In case of fire, for instance, this can be of central importance for ventilating systems and/or building security.